his page is, and likely will be for some time to come, a work in progress. It is brought to you by Terry Ballard, a semi-retired Automation Librarian. I've been in the library field for 40 years now, with automation gigs at Adelphi University, Quinnipiac University, New York Law School, and some university at Washington Square. In case anybody is wondering, I am the Terry Ballard who was at the Phoenix Public Library for decades. 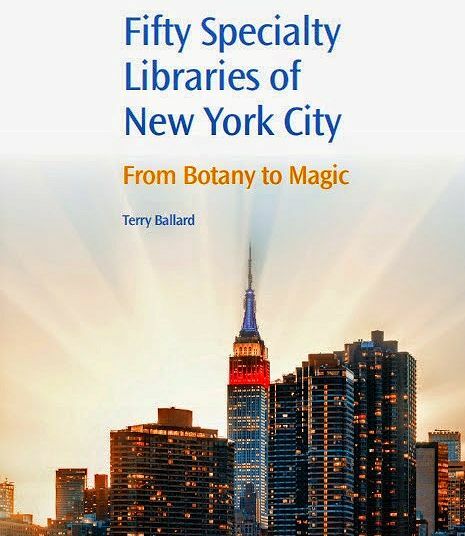 If you are mainly interested in my work as a librarian and writer, you might want to visit my professional web page at terryballard.org/professional/default.htm. There are other Terry Ballards on the web - A college student in Idaho, somebody who posts to the Usenet about Marijuana farming, an insurance agent, a hockey coach, a cricket player and a Republican politician. All of this proves that one's fate is not determined by one's name. I have come to think of myself as an idea person, and I find the Web to be a superb medium for sharing ideas with people and interacting with the results of those ideas. After more than a dozen years of tinkering with this page, it is now at a point where it is as cluttered, eclectic and contradictory as my actual life. Welcome! I've written a few things in and out of the Library profession, mostly since my departure from Arizona. Here is a list that I created in 1991 of misspellings that are likely to be found in your OPAC. When I first presented this research, a lot of people were surprised at how widespread the problem was. The entire list was included in The Cybrarian's Manual, published in February, 1997 by ALA Books, edited by Pat Ensor. : The complete list is now on the Web: Typographical Errors in Library Databases . Recently, my current employer, the College of New Rochelle, purchased a product called Digital Commons, which allows schools to post the scholarly writings of faculty members. Amazingly, we got publishers' permissions to 40 of my 70 or so past writings, including the full book of INNOPAC: A reference guide to the system. You can see it all HERE. Veering away from library science for the moment, this is something that I wrote for a student project in the 1970's, and it sat in a drawer for decades, until I found out through the Internet that there are lots of people interested in the Greek philosopher Diogenes, and this has taken on a life of its own: A day with Diogenes. This site was obliquely mentioned by the prestigious British journal the Economist, which said that there are several lame websites devoted to Diogenes. Unlike the prestigious British journal the Economist, this website attempts never to be boring. More recently, I've found the old video and converted it to digital format for placement on YouTube. For those who were interested in what is was like growing up in Phoenix in the early 1960's (usually visited by people who grew up in the 1960's in Phoenix), I have added a North High page, writing about my life after living in the Philippines. Another project I did with my son is a page devoted to our favorite robot - Marvin's Depressing Corner of the Universe" One person out there said that we captured Marvin so perfectly that Douglas Adams must have secretly written the page. No such luck. Possibly the most far-out fringe group you can imagine is The Dead Librarian's Society, composed of librarians interested in the Grateful Dead. Check out our page, Deaducated. Attention Web TV users. Do NOT adjust your set. The page really looks like this. All human knowledge has been reformatted to fit this screen. No animals were injured in the production of this page. Sarah Palin can see the planet Jupiter from her back porch.